Here's a new design for the card. This version folds in half. 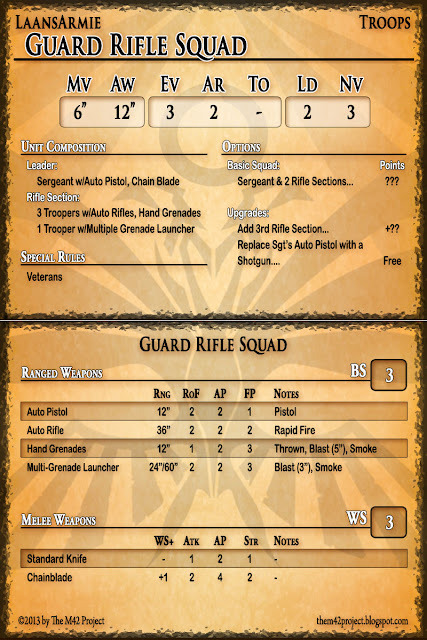 With the unit stats/options/rules on the front, and the weapon information on the back. Instead of listing a reference for every weapon special rule, it instead has more detailed composition and cost/upgrade information for the squad itself. Here's what it looks like folded. 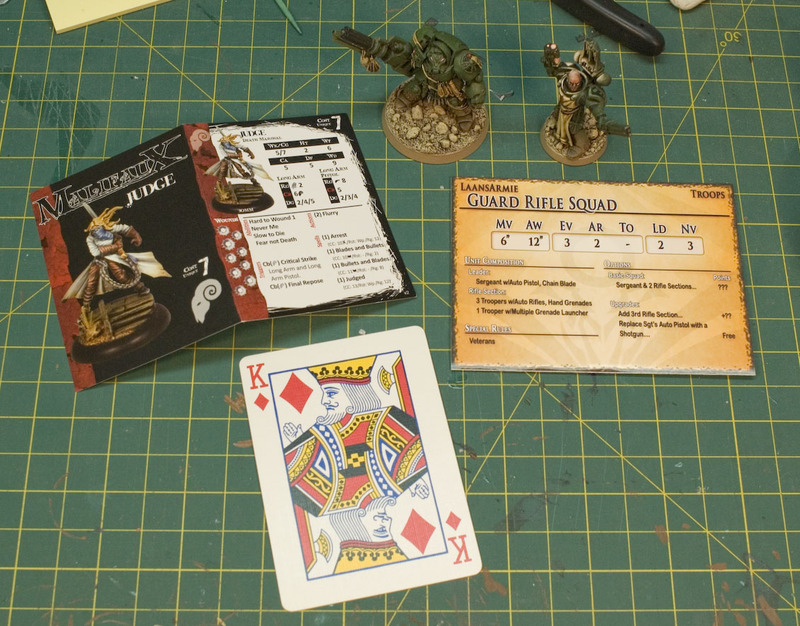 Here's some other companys' gaming cards, and some GW figures, for scale. 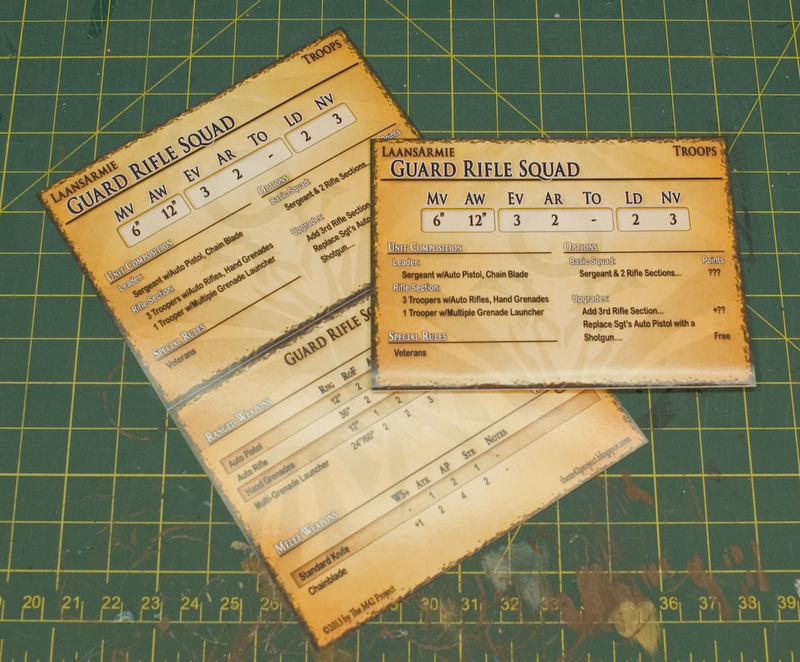 One potential issue is that if you print them out on nice, glossy paper, you need to score the edge before you fold the card. Otherwise the paper will crack and tear on the fold line. I need to clean up the organization of the layout and the data linking before I can spit out cards for all the units. But what do you think of the layout and the information presented? Is it the right information? Is it readable/useful? We've Got A Problem. Want To Help?